Bagwell is not the first baseball player who has been prevented from being elected to Cooperstown because of steroids. But he may be the first player denied in the absence of any evidence that he ever used performance enhancement drugs. 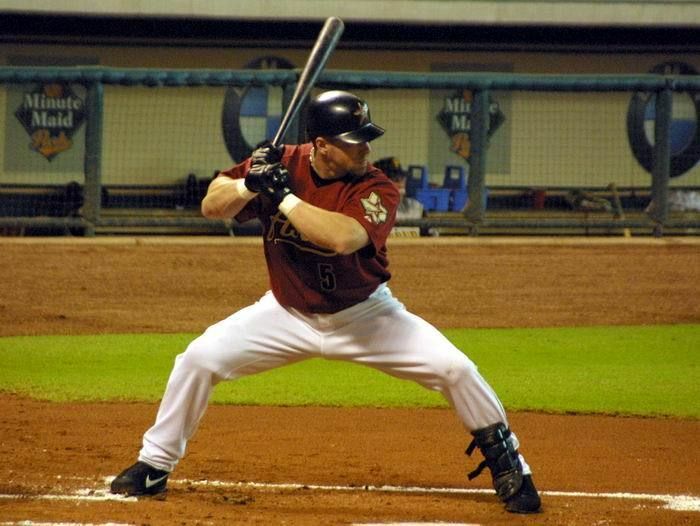 Bagwell never failed a drug test. He hasn’t been investigated by the government. He wasn’t named in the Mitchell Report. Rather, there have been “rumors of steroid use”. He has been “tied to steroid speculation“. He also has “wildly irresponsible” beliefs about steroid use in sports. He was a power hitter who played during the “Steroid Era.” He played baseball with known steroid users. He hired a bodybuilder as a personal trainer. He became more muscular. He admired Barry Bonds and Mark McGwire. He sympathized with Andy Pettitte. Many sportswriters feel this is sufficient to condemn Bagewell as a cheater. He is guilty by mere association and by his refusal to condemn athletes such as Bonds, McGwire and Pettitte. Wow. Forget evidence or even eyeball-speculation. Now it’s enough to be merely “tied to speculation,” — query; who’s doing the tying? — to have defended oneself and to have engaged in “irresponsible” talk. That gets you branded a cheater by some writers now. The possibility of being in the Hall of Fame has lost its luster for Jeff Bagwell. In an recent interview with Jerry Crasnick of ESPN, he expressed his disgust for the steroid innuendo that surrounded his possible nomination to the Hall of Fame. “I’m so sick and tired of all the steroids crap, it’s messed up my whole thinking on the subject. I hate to even use this word, but it’s become almost like a ‘buzz kill’ for me. The Hall of Fame voting process needs to move beyond the steroid hysteria and rise above unsubstantiated accusations of steroid use and/or labeling players as steroid sympathizers.